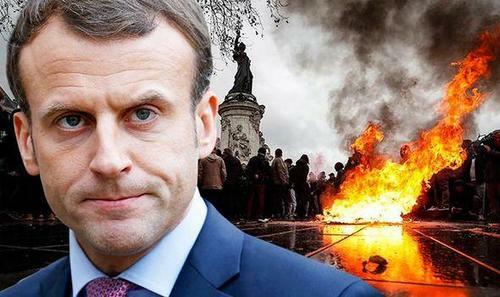 The Macron government has changed its tone after five straight weeks of violent “Yellow Vest” demonstrations across the country. On Sunday Prime Minister Édouard Philippe admitted to Les Echoes newspaper that mistakes were made in the handling of the protests, and that a dialogue is needed. “We made mistakes. We did not listen enough to the French people. I remain convinced that they want this country to be transformed,” said Philippe. 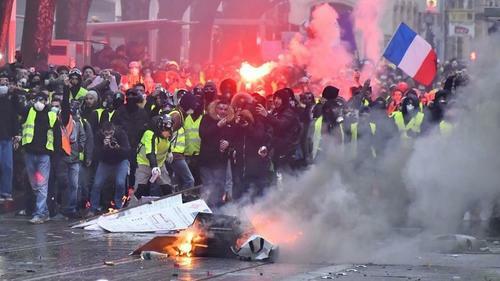 Protesters donning yellow reflective jackets began filling the streets across France on November 17 – initially in protest to a fuel tax aimed at combating global warming – and morphing into a country-wide rebuke of the Macron government. There have been seven deaths, over 4,500 arrests and hundreds of injuries during the demonstrations – as protesters smashed store windows, looted, set fire to vehicles and defaced statues. In addition to a massive presence, Police have responded to the protests with tear gas and pepper spray to try and disperse crowds. Meanwhile, the Yellow Vest protests have spread to multiple European countries – most notably the Netherlands and Belgium, while also spreading to Israel, Iraq and now Canada. 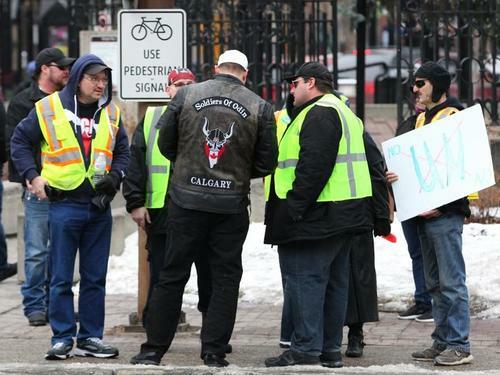 Yellow Vest protesters and counter-protesters were seen last weekend in several Canadian cities, including Toronto, Calgary, Halifax, Edmonton, Saskatoon and Moncton. “I have never met even one Canadian that understands how a carbon tax is going to reduce carbon emissions,” said protester James Hoskins to CTV Atlantic. Another Canadian Yellow Vest, Barry Ahern, called Prime Minister Justin Trudeau’s summer grant program “oppression of Canadians by our own people.” The program has been criticized for requiring organizations applying for summer job grants to sign an “attestation” confirming that they respect LGBT and abortion rights. In Calgary, a large rally began outside the downtown Kerby Centre, with protester Craig Chandler telling CTV Calgary that people were upset over pipelines and Trudeau’s leadership in general. “Ever since France has been doing it, everybody wants to do it, “said Chandler, a member of the Progressive Group for Independent Business, who also called out Calgary Centre MP Kent Hehr. Hehr acknowledged the difficulties in the city but stressed his government’s commitment to some pipeline construction – including the Trans Mountain expansion. 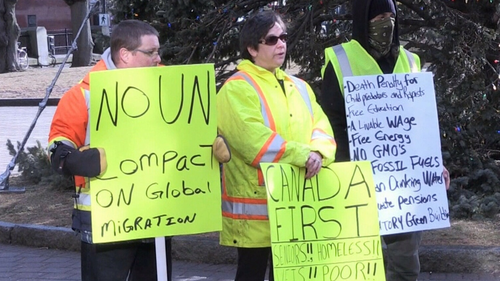 Canadians in Toronto voiced their frustration over carbon taxes and immigration, while in Edmonton there were tensions between Yellow Vests and counter-protesters as hundreds assembled at the Alberta Legislature. 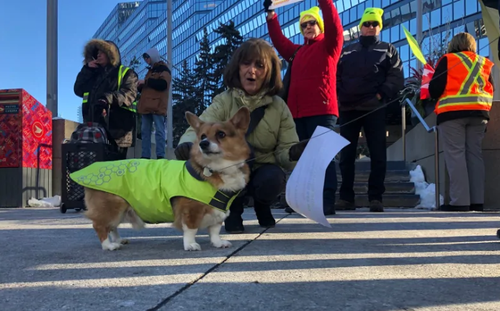 “I’m tired of Trudeau basically doing what he wants with our money and sending it overseas,” said Yellow Vest protester who goes by the name Turk. “Right now, personally, I’m facing a job crisis. All our oil jobs are gone, all our money is going south.